According to the Labor Statistics Bureau of United States, nursing is a fast-growing profession. Its projection level is at 19 percent that is a very rapid rate at national and international levels. On average registered nurses (RNs) earn approximately 71,000$ annually. But there are Different Salary Trends in Nursing. The lowest paid nurses make around 42000$ while the highly paid nurses earn more than 100,000$ per year. Nurses’ salaries vary from one another on the basis of some pragmatic facts. It’s economically tough time and most of the nurses want to know that how they can uplift their earnings. So read on to learn more about the different salary trends in nursing and get knowledge about those reasons that influence to increase the nurses’ salaries. Here are some main reasons which effect on the salaries of nurses and cause different salary trends in Nursing. Credential is the first and very important factor that contribute to enhance the salaries among nurses. Salaries can vary on the basis of nurses’ advanced qualifications. Those nurses who have advanced degrees or license can get more salaries as compared to the others. 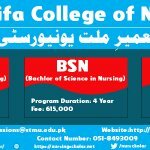 In fact qualification is not just reading or writing or having the degrees or diplomas, it is the authority to do something when you equip yourself with all the knowledge and skills as a caregiver, instructor, decision-maker, manager, leader or researcher which are the roles of a nurse. Experience is another main influence for the difference in the salaries of nurses of same designation. Those nurses who have more experience earn better than who has less job experiences. Different sectors offer different accretions in wages on the basis of experience according to their policies. It has been seen that many people remain free at home and do not gain experience after getting a nursing education. It’s wrong because a good career cannot be developed in ease and quiet but through Experience. So always try to get more and more experience to get good jobs and attractive salaries. Salary variation also depends upon the sector of employment. It is the third big reason that influence on the salaries. It has been seen that big sectors offer more salaries, more allowances and more facilities to their nurses according to their designations. In small sectors where is no proper job structure or increment policies, a registered nurse earns approximately 1 to 2 lacs PRs while in the big sectors where increment policies and provision of the other allowances are present nurses earn 3 to 6 lac PRs annually. Similarly a great difference has also been observed in the public and private hospitals’ salaries. Location is the fourth factor which effects on a nurse’s salary. In different locations, salaries vary from country to country, province to province or even city to city. Even the salaries of the nurses working in the big cities in Pakistan are higher than small city employees’ because of big city allowances, more budgets or governmental criteria etc. 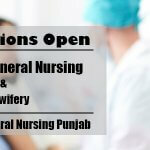 Jobs for some particular settings are considered as for additional inducements, for example staff nurses of ICU/CCU, operation theater or dialysis unit’s nurses get more incentives than general wards nurses. Muzamil Mukhtar is an SEO Content Writer, Blogger, and Co-Founder of Nursing Scholar. He shares his ideas and insights through creative writing. Being a home-author he likes to enlightening nursing students about least known facts related to the academics and practice.